Who doesn't love a good upcycled craft? 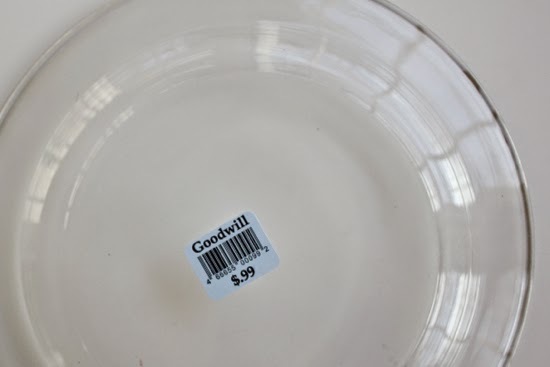 I had a free afternoon the other day and decided to head over to Goodwill for a little looky-loo. These 99 cent clear glass plates were calling my name, so I took them home and gussied them up with some multi-surface acrylic paint. To get the price tag off, I let a few drops of water sit on it for about 10 minutes, then scraped it off. 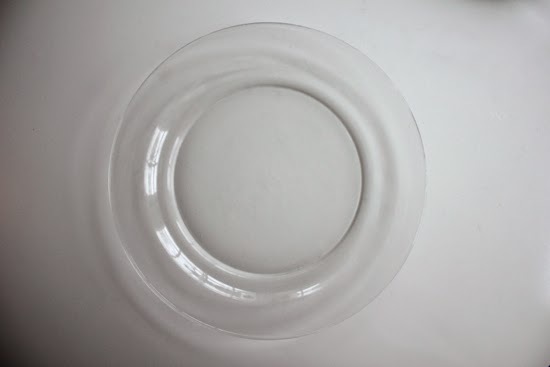 Be sure your plate is clean as a whistle before you start painting and put some wax or parchment paper underneath it. For the first layer I used gold acrylic paint and a wide paint brush to apply a bold stroke of paint to the back of the plate. If it's not looking the way you want it to, not worries. 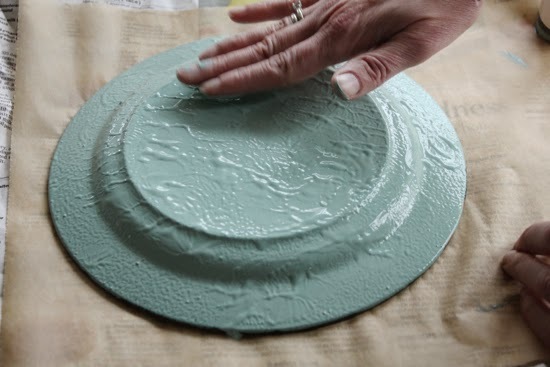 Just wipe off the paint with a damp paper towel before it dries. Now it's time for a second layer of paint. 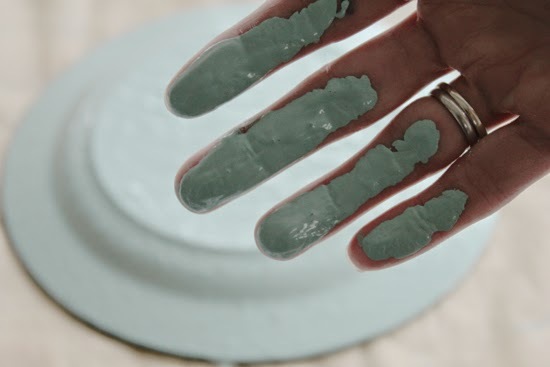 I mixed some yellow, white and blue multi-surface acrylic paint together to get this sort of robin's egg blue color. 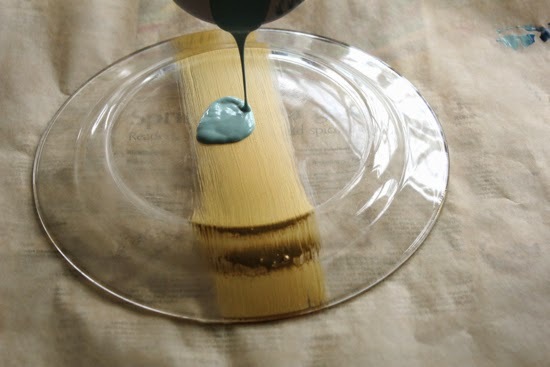 Just mix the paint and pour it over the plate. That's right, just pore it on there. A squeeze bottle would be very useful to apply the paint, but I need to make another run to Michaels like a need a hole in the head. So I made do with what I had, which was a paper cup. 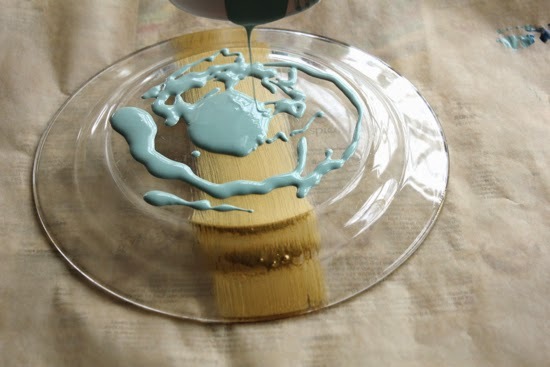 You want to get the paint on as evenly as possible. It also needs to be applied pretty thickly. 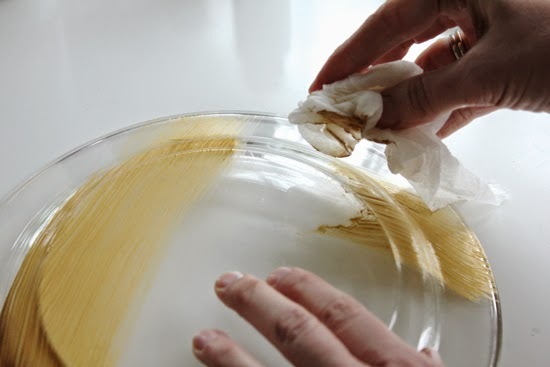 I patted the back of the plate like this to smooth it out. 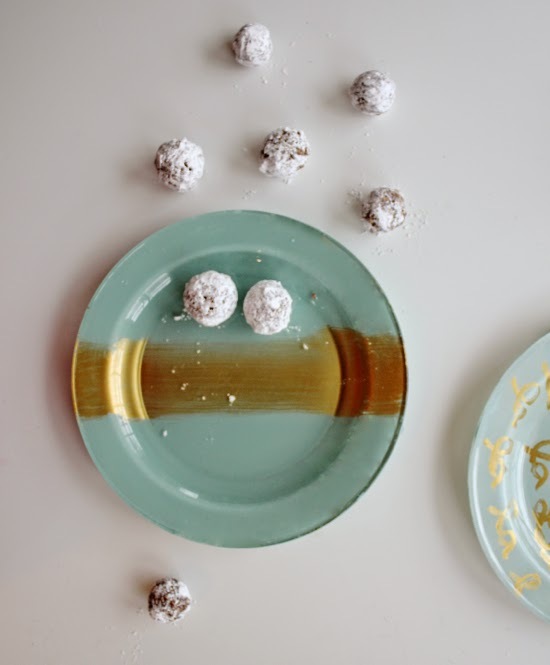 Let the plate dry wrong side up. 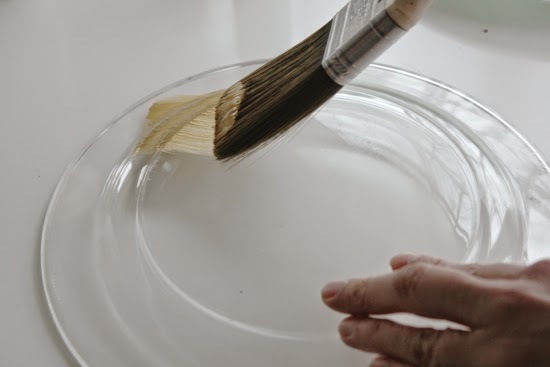 If it looks a little blotchy when you turn it right side up, just apply another coat of paint (this time you can use a paintbrush). Follow product directions for drying. You can also play around with different designs. To do the falalalala lalalala thing, I wrote out the words on paper using a thick marker. Then I turned the paper upside down and placed the plate right side down on top of it. You should be able to make out the letters coming through the back of the paper. 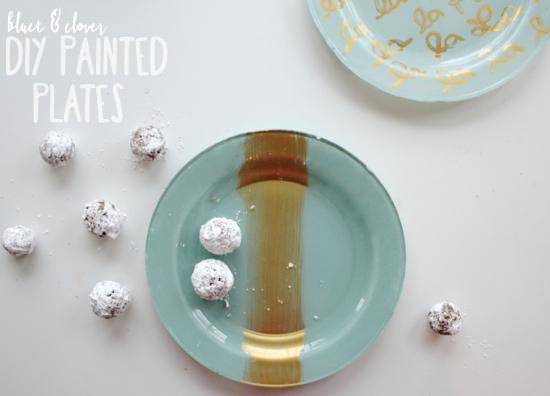 Trace the words (you're going to be writing backwards) on the back of the plate with either a Sharpie or acrylic paint and brush. When it dries you'll apply the second layer of paint just like I did over the paint stripe plate. Now who's ready for a trip to the thrift store?